Hey everyone, Denae’s Original Art is on ebay! Click here http://www.ebay.com/usr/rad_art to check out all of her Original art pieces we currently have up! All of the Money from the Sales of Denae’s Original art pieces will help us with attending more Events, Travel expenses and printing more product for the events we attend! If you don’t see an Original art piece you’d like to buy from us on ebay, Click here http://old.denaefrazierstudios.com/online-store/ to check out all the different Art prints we have available to buy in our store! 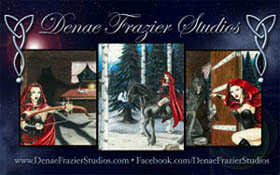 Thanks so much and always remember your support on Denae’s art is greatly appreciated! This entry was posted in art, custom illustration, news and tagged Aladdin, Avea Trotter, DC, disney, Draculaura, Elsa, Fairy, Fairy Dust, Freaky Fusion, Frozen, Ghoulia Yelps, Harley Quinn, Harpy_Centaur, Hybrid, Hyenas, Jasmine, Jessica Rabbit, Lagoona Blue, Mermaid_Ghost, Monster High, Operetta, Original Art, Phantom, Sea Monster_Ocean Nymph, Sirena Von Boo, Sketch Comic Variant, Tink, Tinkerbell, Traditional Art, Vampire, We are Monster High, Who Framed Roger Rabbit, Zombie. Bookmark the permalink. Trackbacks are closed, but you can post a comment.